The New Hampshire Fisher Cats (61-44) pounded out 15 hits in an 11-5 win over the Flying Squirrels (50-56) on Tuesday from Northeast Delta Dental Stadium. The Fisher Cats pulled ahead with seven runs in the third inning that included a grand slam from Harold Ramirez. 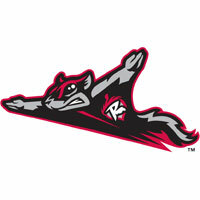 Flying Squirrels first baseman Jonah Arenado gathered his first four-hit game of the year in the defeat. Richmond and New Hampshire will play game two of the three game series on Wednesday at 12:05 p.m. The Squirrels will return to Funnville for a six-game homestand on Tuesday, August 7 for a Tip of the Cap Tuesday celebration. New Hampshire scored seven runs and sent 10 men to the plate in the third inning to move ahead 10-4. Right fielder Harold Ramirez punctuated the scoring in the inning by launching a grand slam home run over the fence in right. Squirrels starting pitcher Taylor Hill could not make it out of the inning and tossed two innings for Richmond in the defeat. Hill (0-6) worked into the third and was knocked out following four consecutive hits to begin the frame. The veteran right-hander allowed seven runs on nine hits. He walked one and did not strike out a batter. Dusten Knight replaced Hill with the bases loaded and yielded an RBI single to Santiago Espinal and a bases loaded walk before allowing the grand slam to Ramirez. Lefty starter Tayler Saucedo earned the win for the ‘Cats. In his fifth start at Double-A, Saucedo lasted six innings and allowed four runs on eight hits while tossing 96 pitches. Saucedo struck out three and did not walk a batter in the outing. The Squirrels rallied for four runs in the second after falling behind 1-0. Aramis Garcia laced a single into centerfield and Caleb Gindl dribbled a base hit up the middle. Jonah Arenado then tied the game, by guiding an RBI double inside the third base line. Matt Lipka added a sacrifice fly and Ali Castillo and Luigi Rodriguez drilled consecutive doubles for a 4-1 advantage. The Fisher Cats battled back to pull to within a run in the bottom of the second inning. With one out, Eduard Pinto doubled and came around to score on a triple into the gap in left center field ( Santiago Espinal). Forest Wall followed with a sacrifice fly to make it a 4-3 contest.